Union local presidents will learn more about a tentative deal between General Motors and the United Auto Workers Wednesday. But not much is public about the deal yet. 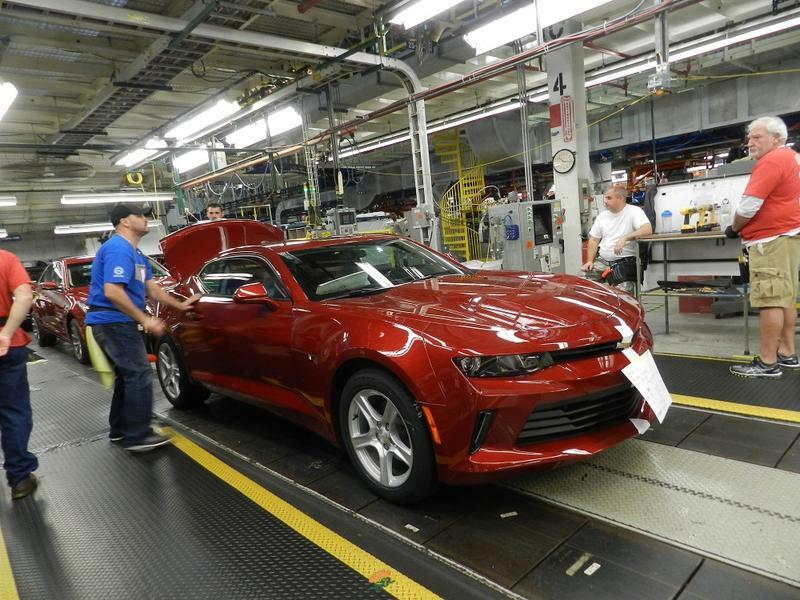 Just hours after the tentative deal was announced, the first next generation Camaro rolled off the assembly line in Lansing. Members of the United Auto Workers union begin voting on a tentative new contract with Fiat Chrysler on Tuesday. Union leaders are being less passive after the rank and file rejected the first tentative deal in September. For the second tentative contract, the union hired an outside public relations firm and engaged with members on Facebook and Twitter to explain the terms. Voting on this contract will take place over two days, instead of two weeks, giving critics a lot less time to criticize and drum up resistance. Detroit News business columnist Daniel Howes says this proposed deal sets a high bar. Just a week and a half from now, the United Automobile Workers contracts with General Motors, Ford and Fiat Chrysler Automobiles will expire. In a recent column for The Detroit News, Daniel Howes points out some some things that set these talks apart from years past. The United Auto Workers and Ford Motor Company are officially in talks for their next four-year contract. 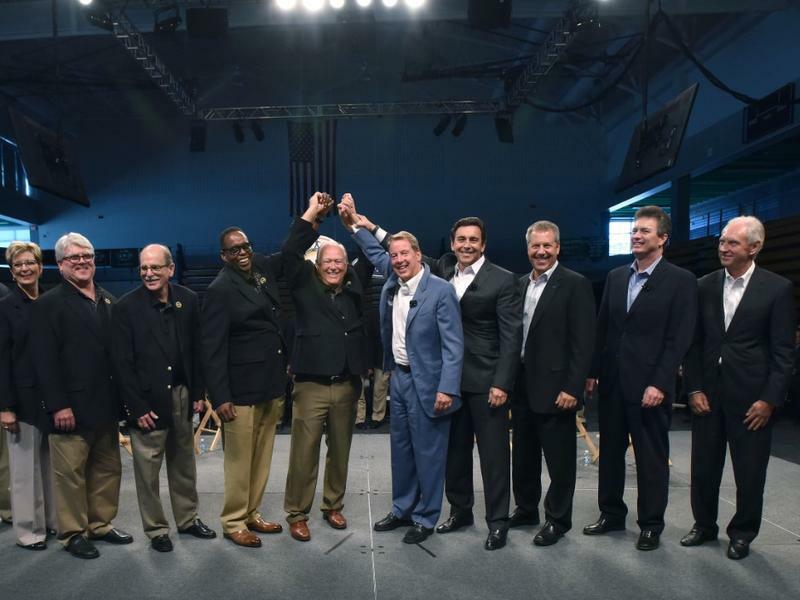 This time, the kickoff ceremony was held off Ford and UAW premises, at Cass Tech High School. 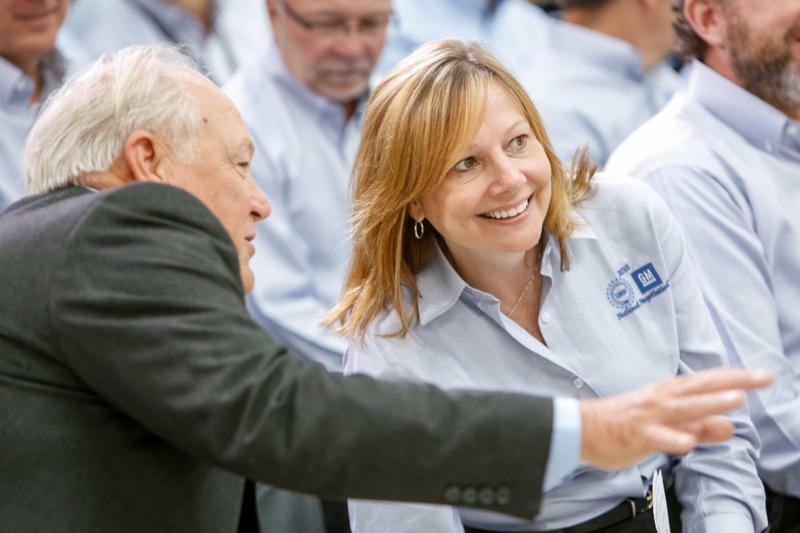 The site was chosen to highlight Ford and the UAW's team effort to help the Detroit community. The United Automobile Workers and Fiat-Chrysler open contract talks today. 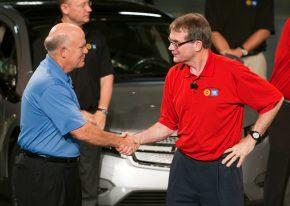 General Motors talks started Monday, and Ford begins late next week. According to Detroit News business columnist Daniel Howes, these talks are new territory for the Detroit Three and the UAW. Faculty at the University of Detroit Mercy say the university is “going backward” in ongoing contract negotiations. 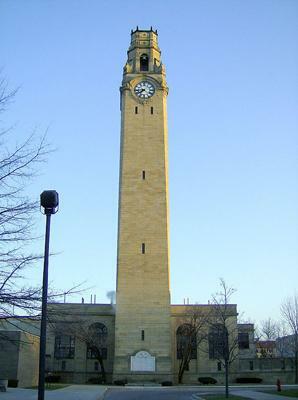 Some U of D professors protested at an event attended by the school’s President Monday. The two sides have been bargaining since late last year. Just last month, the university gave notice that it may invoke a clause to “terminate or modify” the current faculty contract in late September. Faculty union President and Associate Professor of Physics Prasad Venugopal said faculty members are “very concerned” about that possibility. The Detroit City Council has rejected a proposal to impose new contract terms on most city employees. 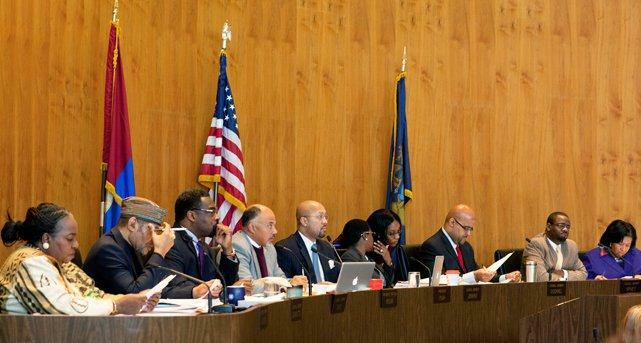 Mayor Dave Bing asked for the changes, which include a 10-percent pay cut and major work rule changes. City officials say Detroit’s consent agreement with the state allows them to impose the terms even without the council's approval. Top officials with the United Auto Workers are briefing local union leaders on contract talks with Chrysler today, after negotiators were unable to come to an agreement over the weekend. A statement from Chrysler says talks ended this morning so the UAW could meet with its National Council. 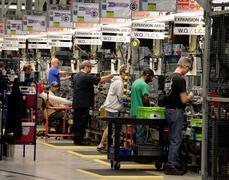 Chrysler is the last of the Detroit Three to reach a tentative contract with the UAW. 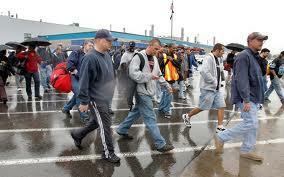 General Motors workers last week ratified a new four-year contract by a margin of two-to-one. Ford workers are voting this week on a new contract. Both the contract at Ford and General Motors provide for a pay increase for the company's entry-level workers. But Chrysler has many more of the entry-level workers than Ford and GM. 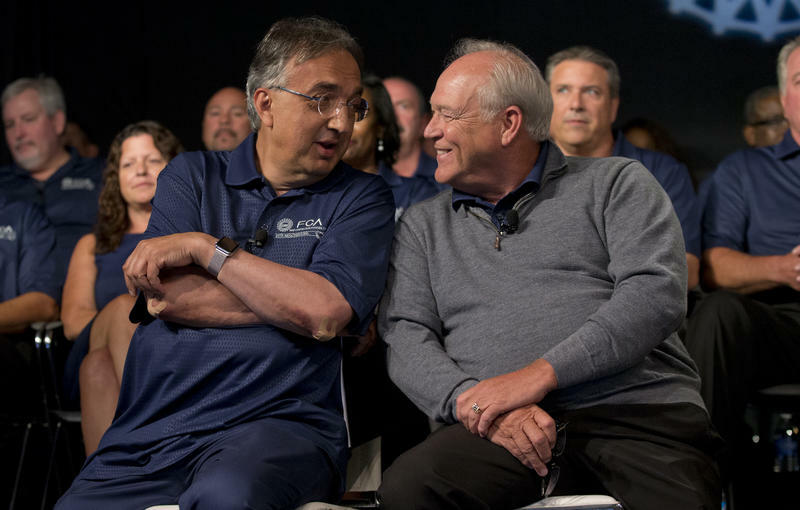 Chrysler CEO Sergio Marchionne has called the pay increase at Ford and GM "overly generous." Contract talks between the United Auto Workers and Chrysler and Ford continue this week, after GM became the first to settle on the terms of a tentative agreement with the union, late Friday. Officials with the union and the automaker will release details of the contract on Tuesday at an 11:00 a.m. press conference. The Detroit News and Detroit Free Press report that the GM contract probably includes a signing bonus for workers if they agree to the deal, and a pay increase for entry-level workers. Plus, GM is expected to agree to add more jobs in the U.S. The deadline for Detroit automakers and the United Auto Workers’ union is fast approaching. But contract talks could be extended past the deadline of this Wednesday – especially at Ford. Ford is the only company that faces the possibility of a strike this time, because of agreements made during GM and Chrysler’s bankruptcies. UAW President Bob King says a strike is not the goal. But some union dissidents think a strike could happen. Gary Walkowicz is a bargaining committeeman at UAW Local 600 in Dearborn.